Hamilton Princess & Beach Club is hosting a Portuguese dinner on Thursday 21st of March, as part of plans to celebrate Portuguese culture throughout 2019, leading up to the public holiday in November commemorating the 170th anniversary of the arrival of the first immigrants from Madeira. “The event will be overseen by the hotel’s Executive Chef, Ricardo Cera, who is Portuguese, and Sommelier, Alexandra Taflan, who will carefully pair wines with each course for the perfectly authentic experience. 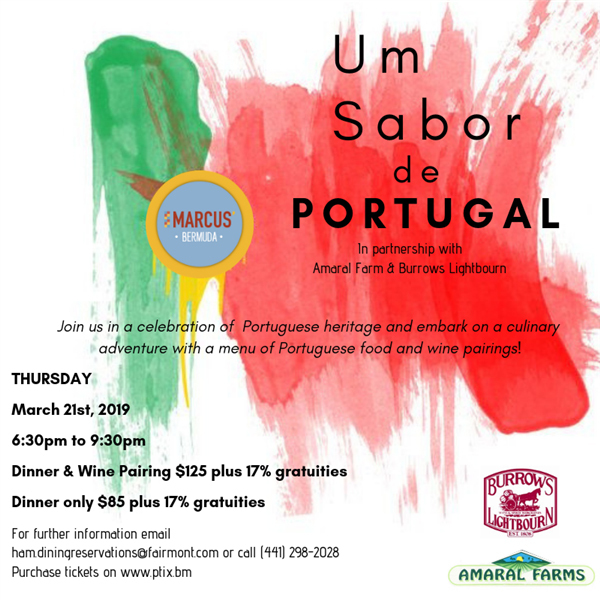 Guests will include prominent members of the Portuguese community, including Amaral Farms, whose produce will be used for the dinner,” a spokesperson said.